Opinion speeches, also called persuasive speeches in many arenas, can be difficult speeches to deliver. Unlike informative speeches - where your only goal is to teach audience members about a concept or an event - opinion speeches have the lofty goal of getting audience members to accept YOUR beliefs about a particular issue as the correct ones! Your underlying goal in an opinion speech is to show audience members your side of the argument, and get them to agree with the points you make about your side of that issue. As a result, choosing the right topics for the right occasions can be a bit tough. Any opinion speech is based on a single premise - one side of the issue is right. When you begin to brainstorm, look carefully at the issues on your list. If an issue does not have some sort of "value claim" attached (i.e. something about the issue is not right or wrong, moral, fair, or important), it should not be on your list of opinion speech topics. However, there are several other types of opinion speech topics also worth avoiding! 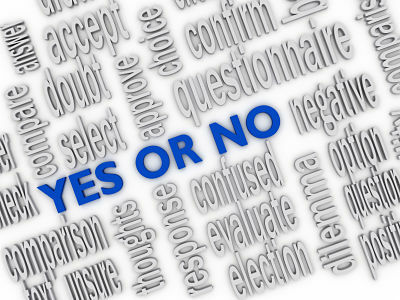 Choosing frequently debated issues - about which people have likely already spent a considerable time thinking - is not a good idea. Subjects such as the death penalty and religion are poor opinion speech topics, because it's unlikely you'll accomplish your goal of winning over audience members when they probably have very firm views on these subjects already. The more controversy your topic generates, the more work you'll have to do in getting the audience to come to your side of the issue. So one of the first things you should do in your attempt to generate the a topic you CAN use is to make a list of possible options. Think about the things that interest YOU... especially those that provoke an emotional response in you. Do any of those issues have controversies attached to them? For example, are you interested in any small scale community issues? Maybe you have noticed a lack of sidewalks in your town. That's a perfect topic for an opinion speech. Concerns about emergency preparedness also make good opinion speech topics. 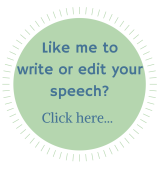 For a speech with personal appeal, think about your educational facility or work environment. Are there some problems you might be able to address with an opinion speech? Does the food service in your building leave something to be desired? If you're looking for a broader topic, consider national issues, in particular those that do not receive media attention on a regular basis. For example, you could discuss loneliness among senior citizens and how you feel older people could be encouraged to play a more active role in their communities, which would alleviate the problem and make the most of their valuable contributions to society. A little brainstorming will help to reveal the issues you care about most, but if you need a little "kickstart" then here are some of my favorite opinion speech topics to help get the ball rolling.